Reading is a crucial skill for children to develop early on; it can impact every facet of their education, from solving math word problems to writing papers. Because reading tutors work closely with children and adolescents, they can be an invaluable resource in determining if your child is falling behind or coping with a condition like dyslexia. If you believe your little one may have a learning disorder, consider the following signs dyslexia is present. Before young children learn to read, most begin the process by learning their letters. If you notice your preschool-aged child struggling to learn letters or mixing up those that look similar—such as “b” and “d”—this could be an indication of dyslexia. The condition impacts the way the brain processes language, making it difficult for children to see the differences between similar letters or words. Another common sign of dyslexia in young readers is difficulty completing rhymes or coming up with words that rhyme. Because dyslexia impacts the way words and language are perceived, it can be challenging for a child to understand separate words that sound similar, like “bat,” “cat,” and “sat.” If you notice your child cannot connect rhyming words, ask a reading tutor about the issue. Young children with dyslexia may have a harder time following directions than their peers. Dyslexia interrupts the way the brain deciphers information, so when parents or teachers give instructions with multiple details, the child may not be able to process them all. Instead of being able to follow a set of directions with several steps, the child only hears one or two words and attempts to piece together the rest. One symptom doesn’t mean your child has dyslexia, but if you notice several of these warning signs, consider speaking to a professional. With the help of a reading tutor, you can ensure your child remains on the fast track to success. Reading in Preschool is an educational reading program serving the needs of several neighborhoods in New York City. 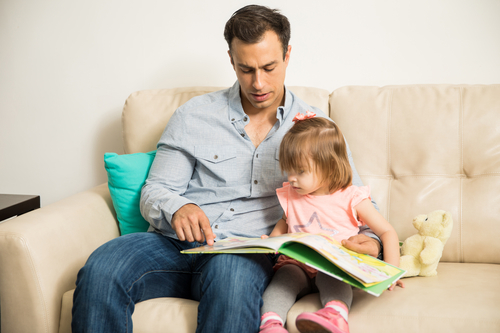 This service offers in-home reading tutors to help young children develop important skills that strengthen their reading and writing foundation. To learn more about Reading in Preschool and the different programs they offer, call (917) 723-1159 or learn more about available services on their website.